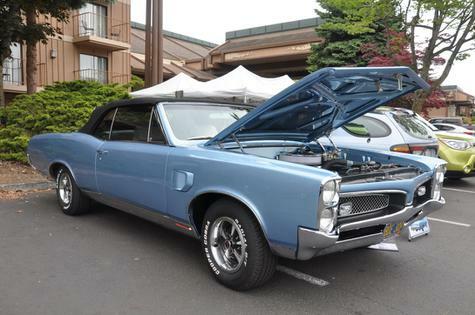 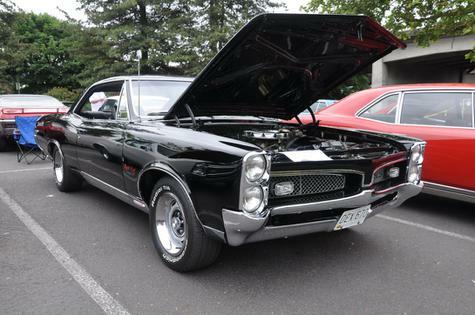 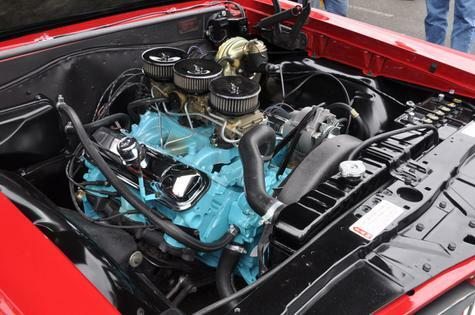 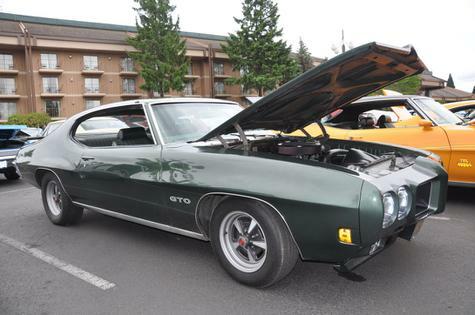 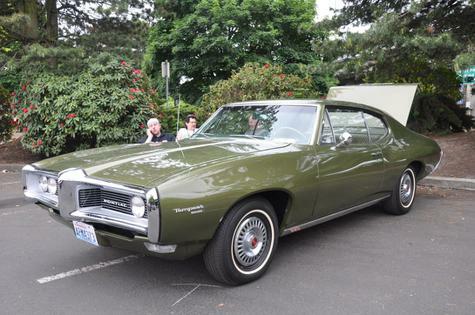 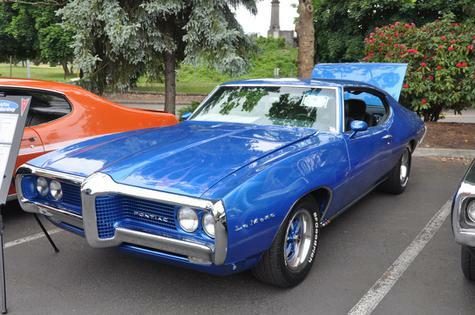 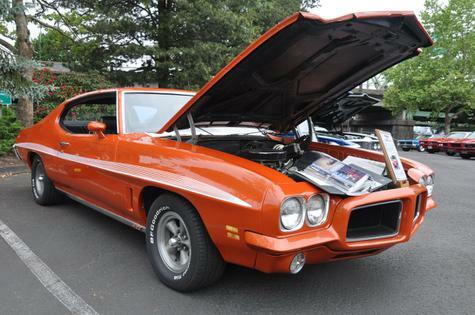 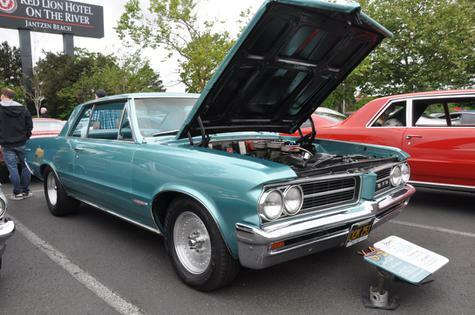 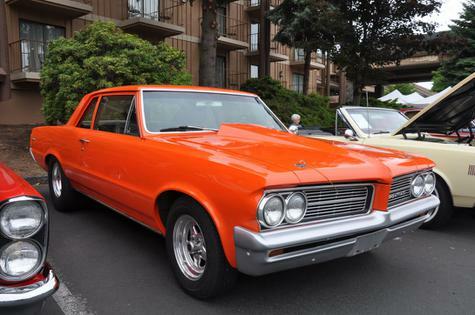 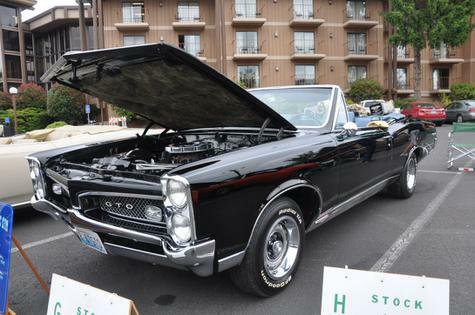 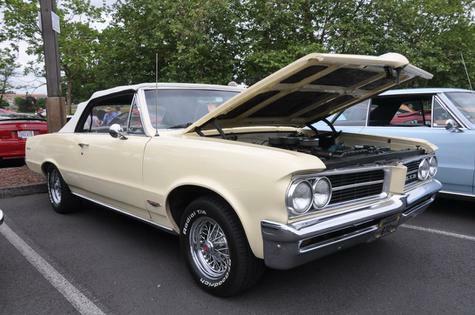 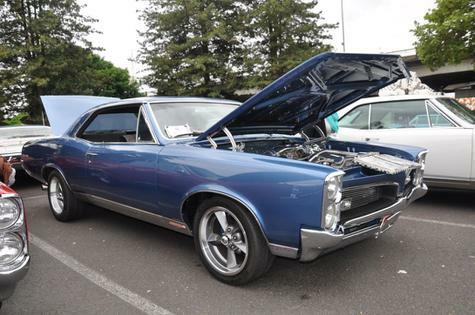 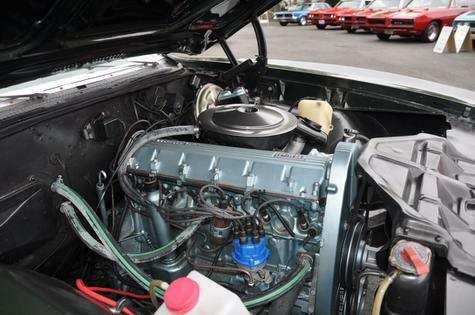 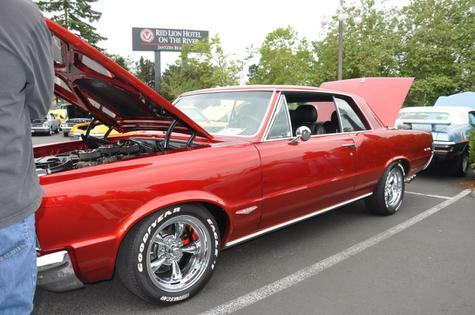 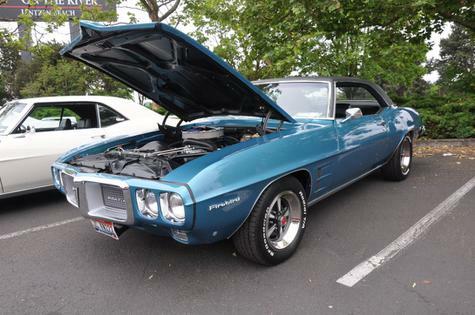 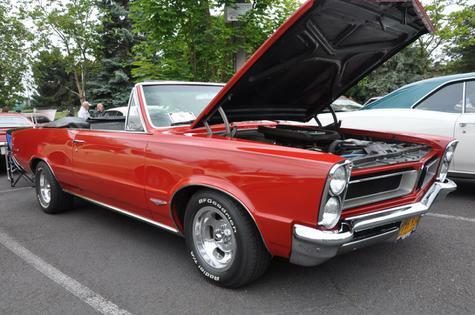 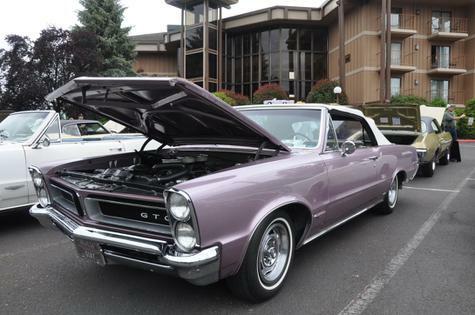 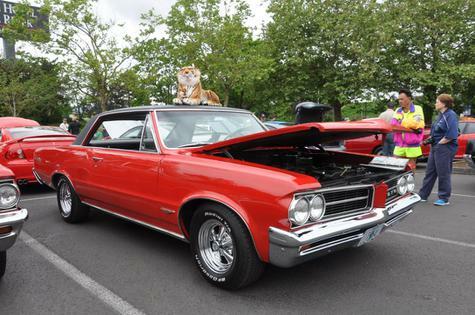 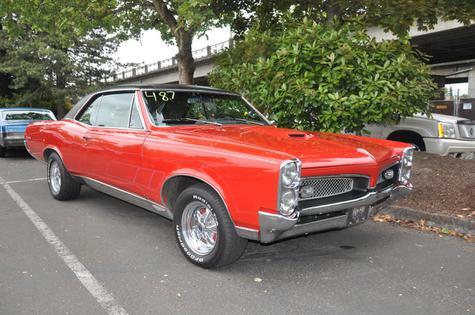 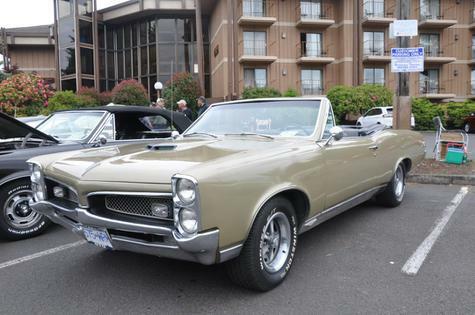 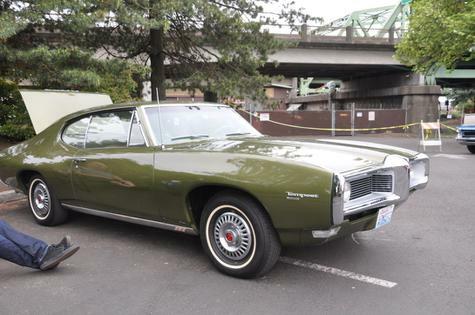 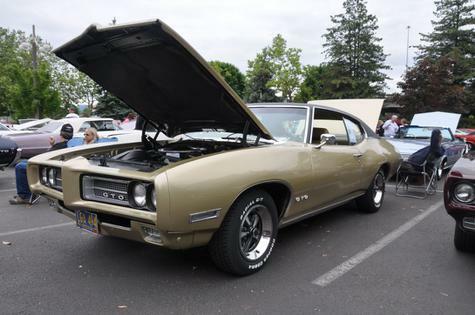 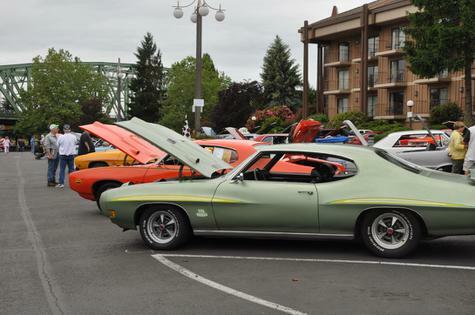 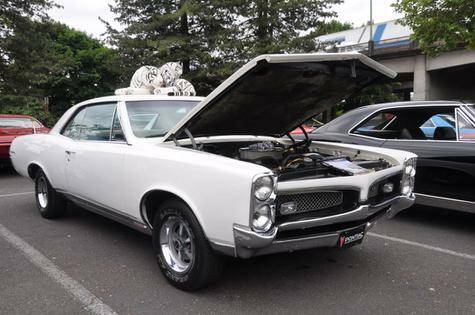 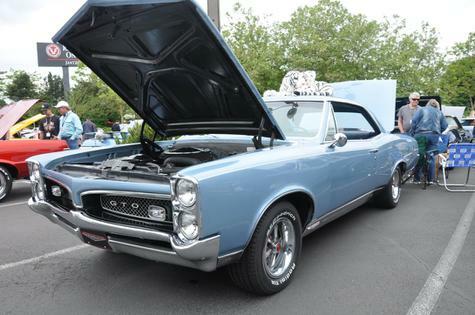 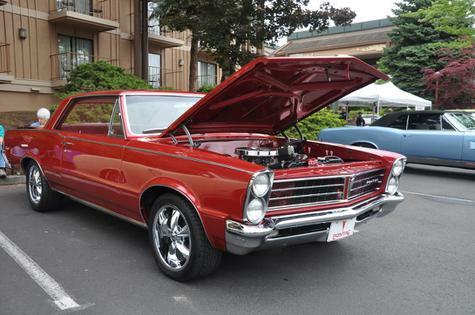 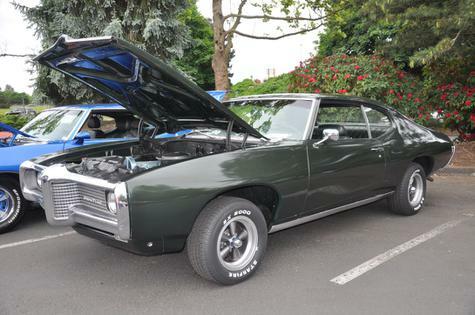 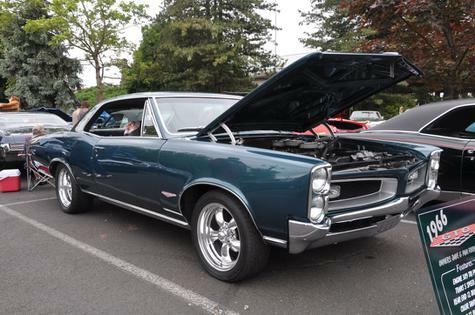 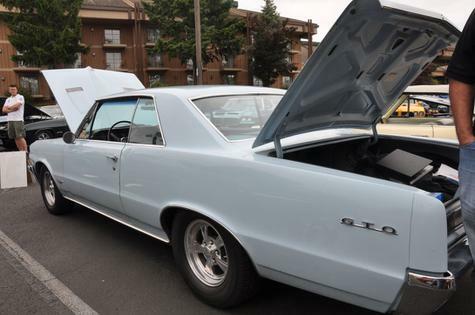 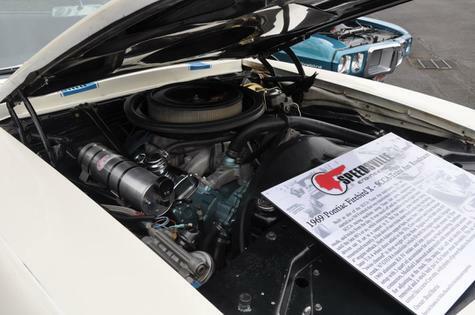 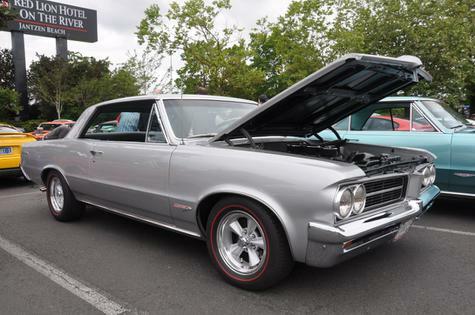 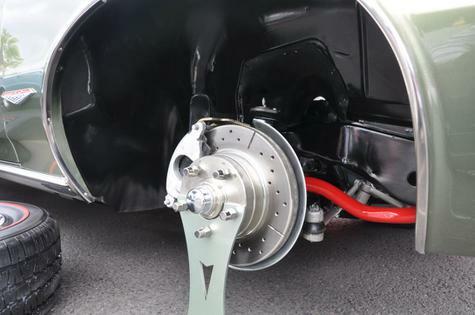 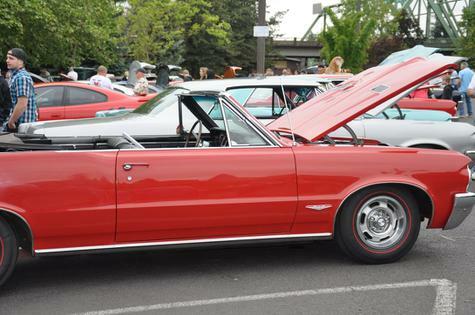 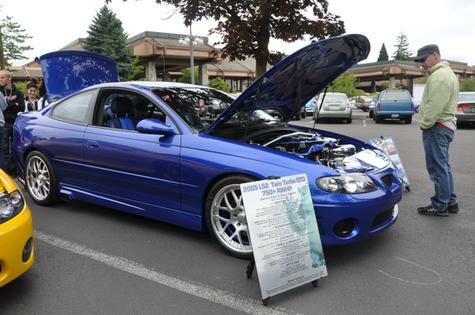 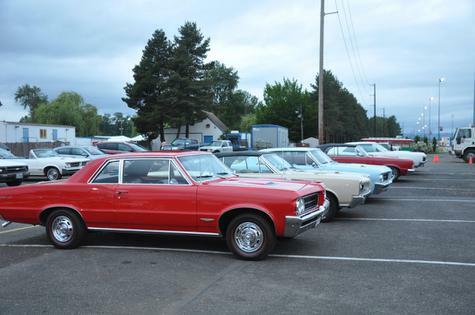 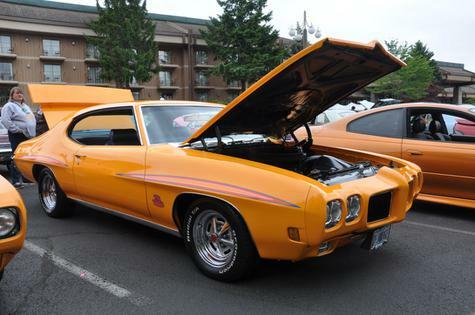 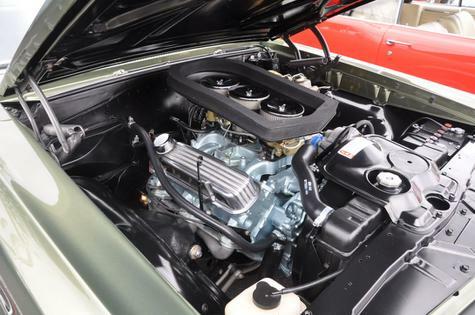 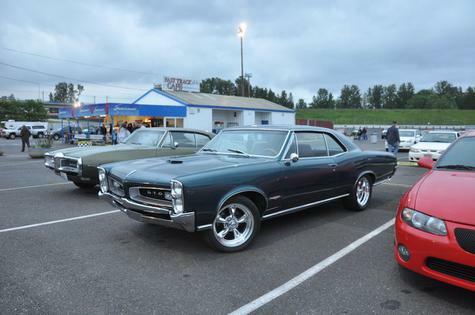 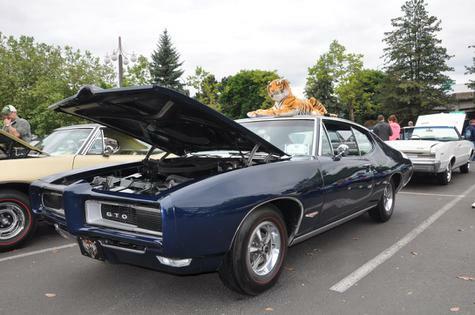 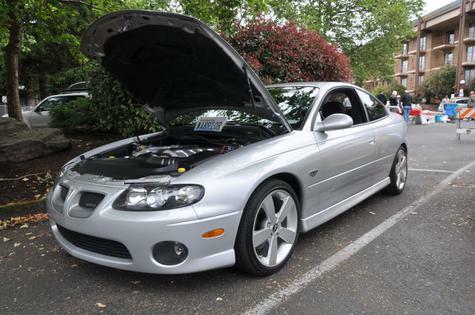 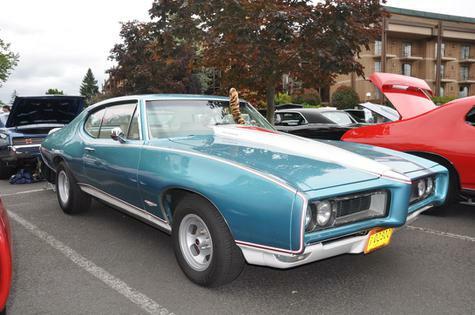 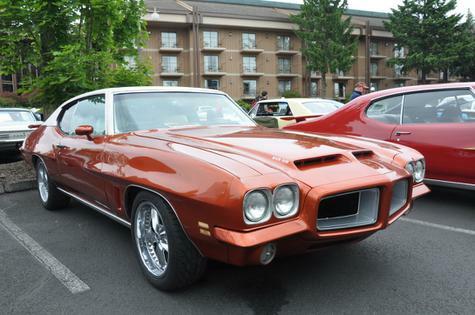 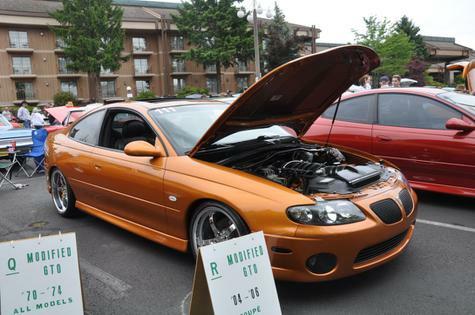 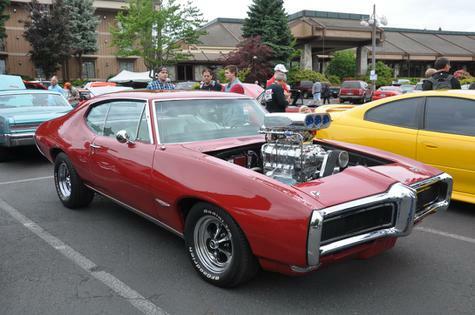 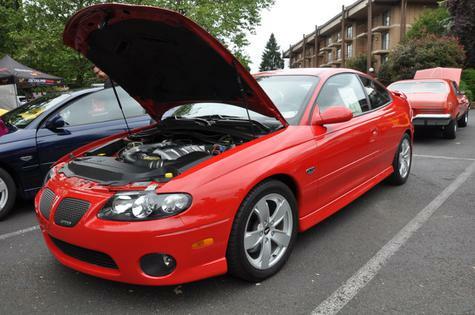 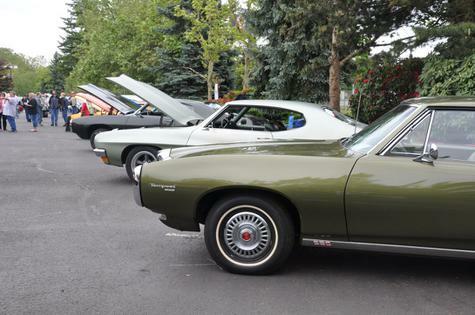 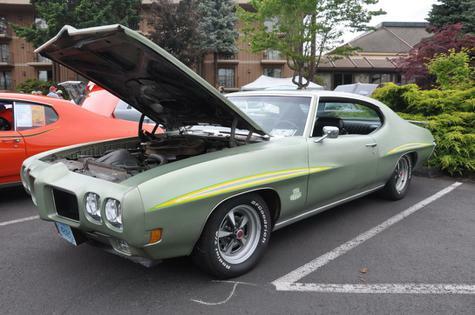 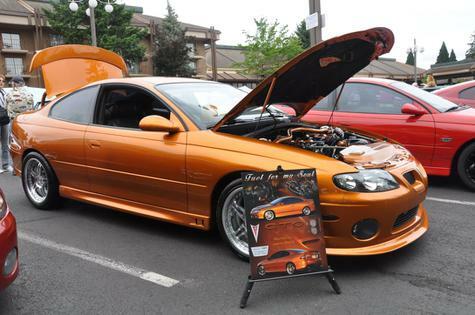 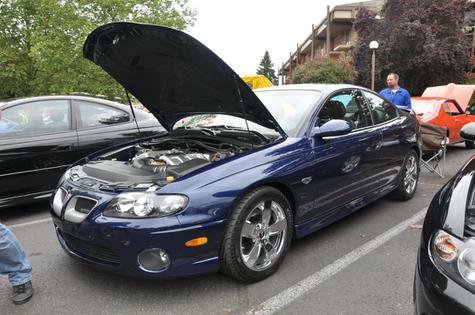 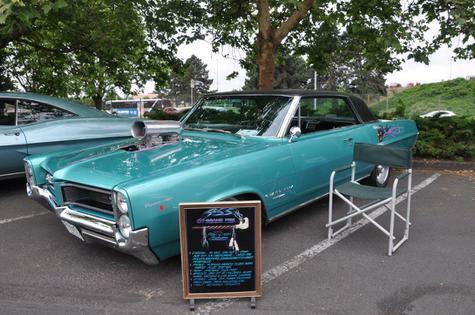 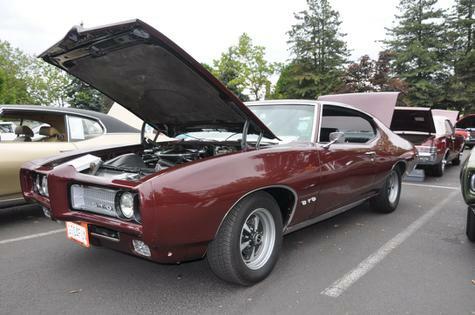 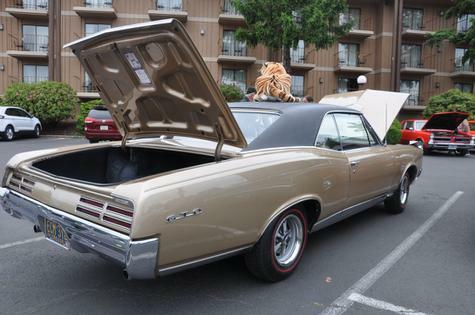 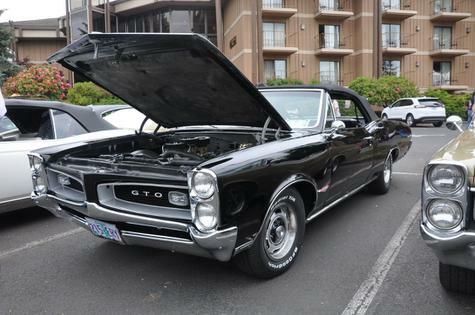 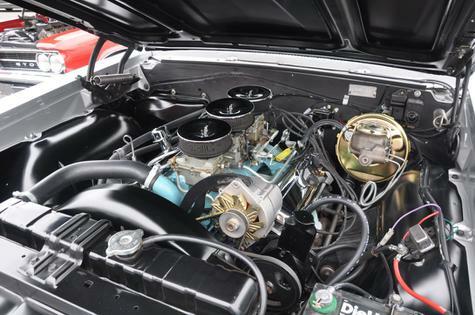 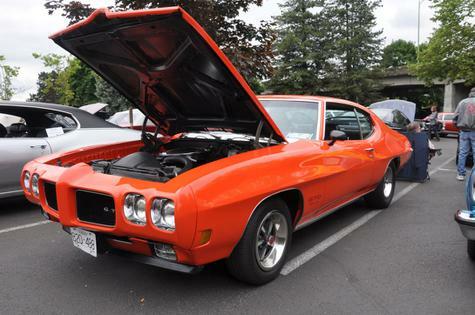 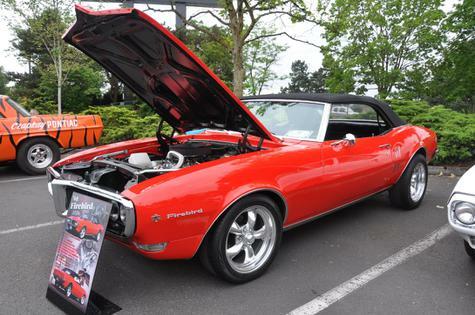 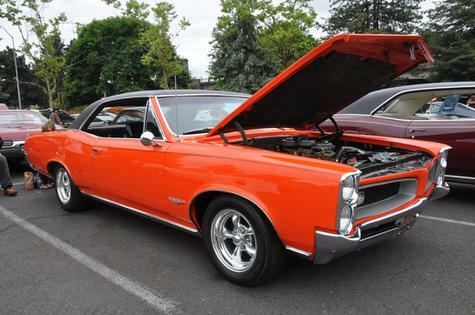 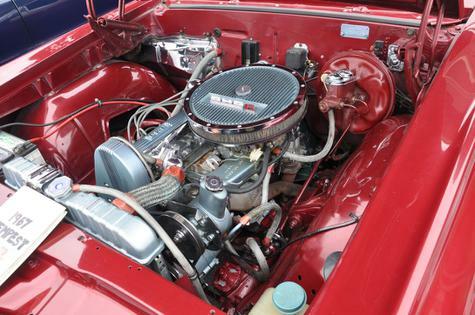 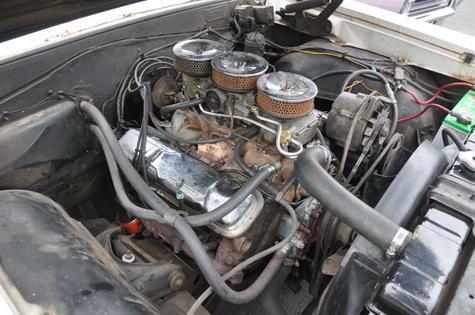 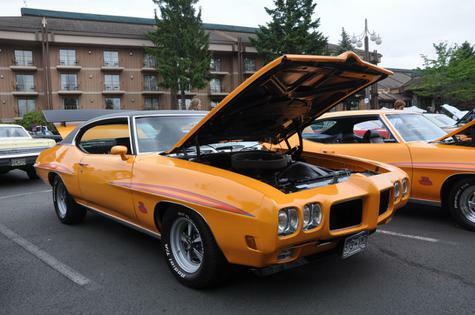 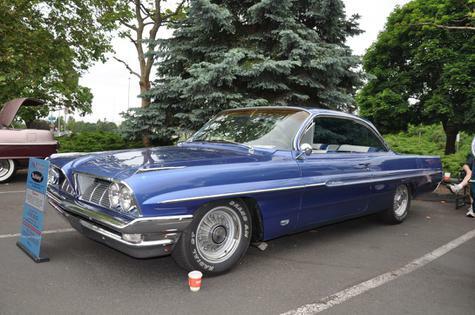 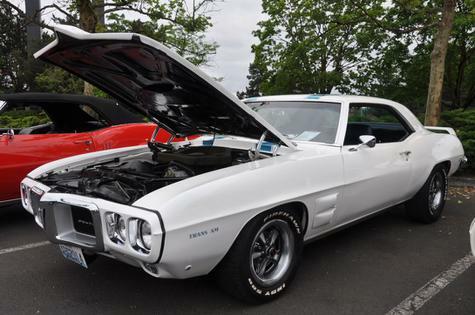 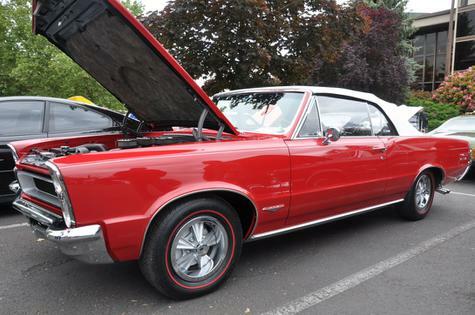 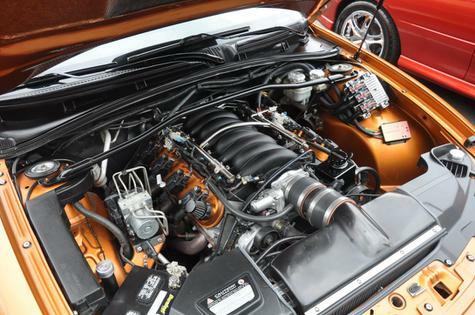 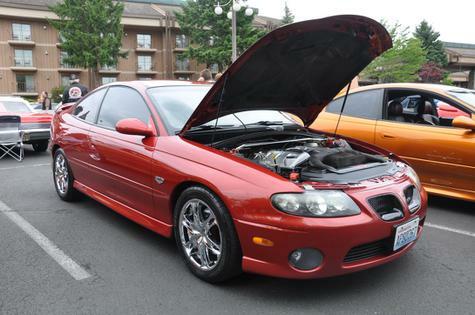 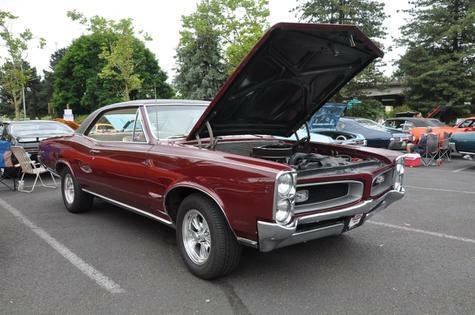 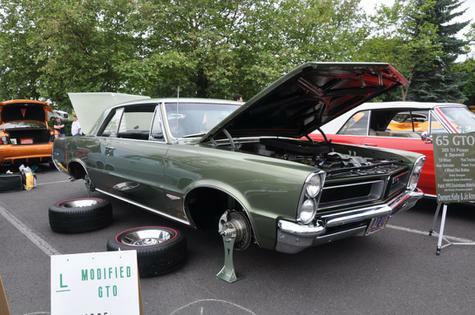 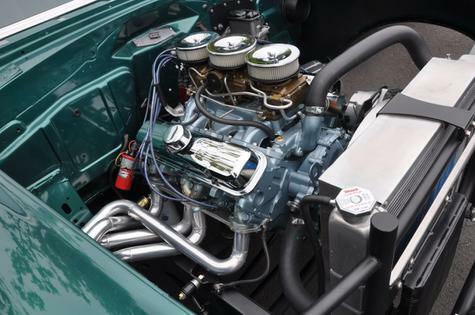 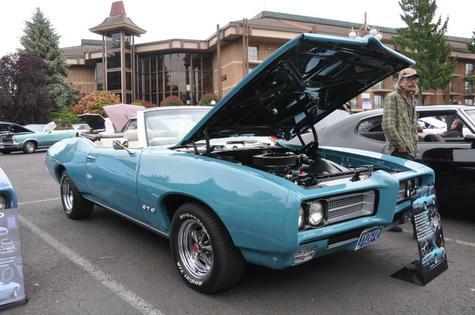 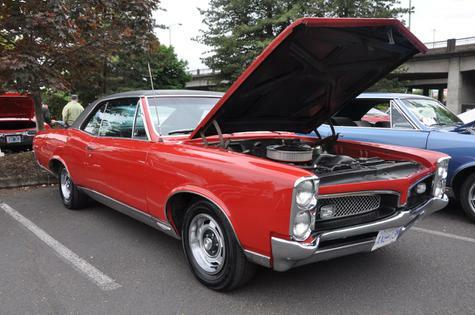 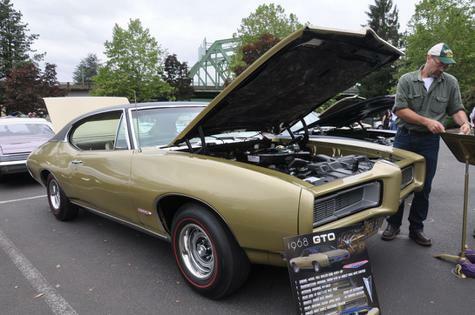 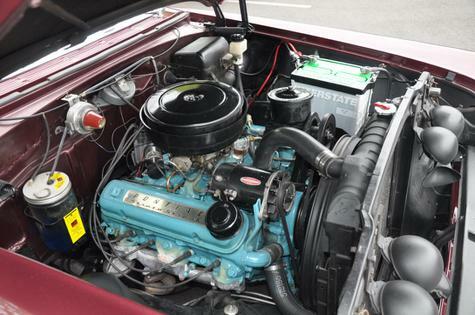 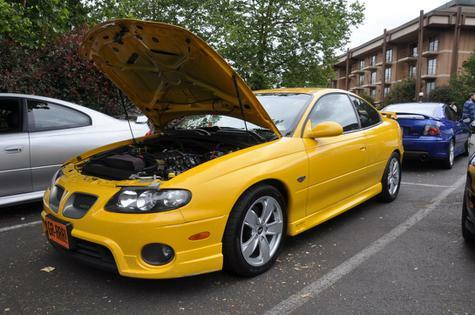 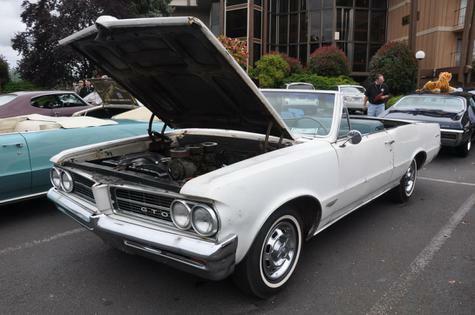 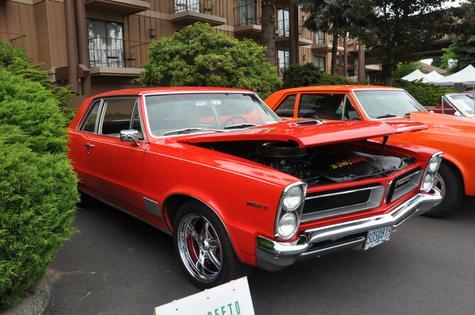 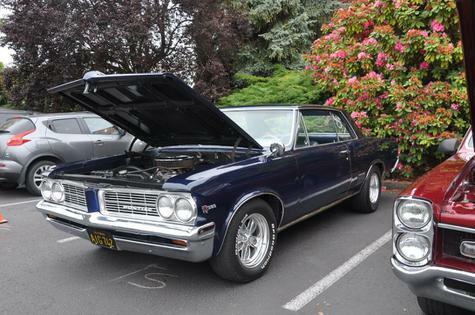 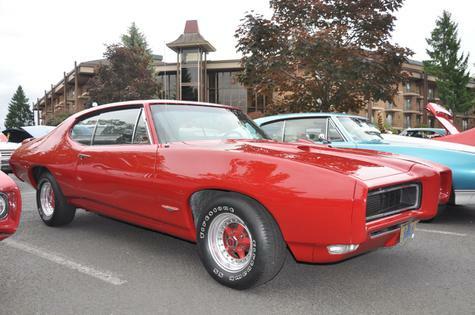 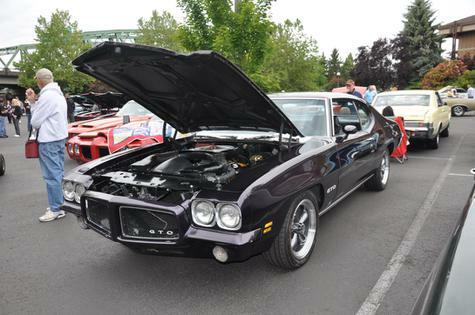 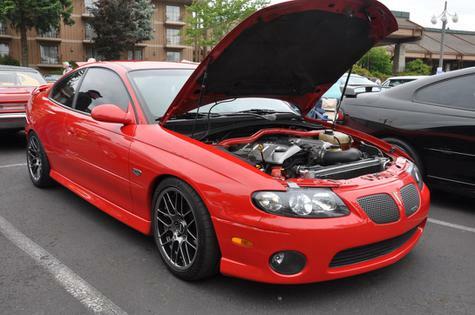 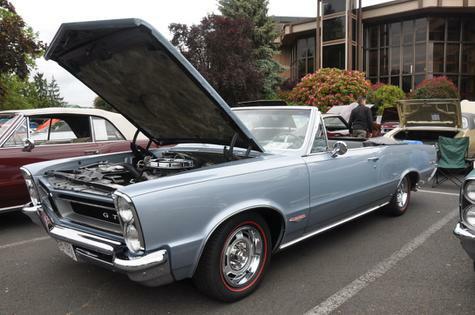 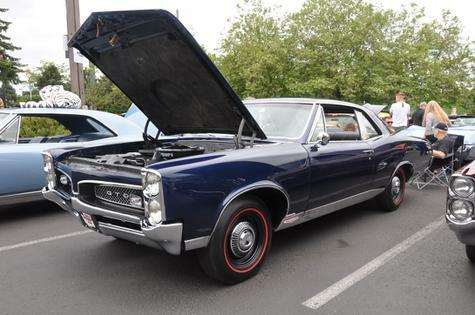 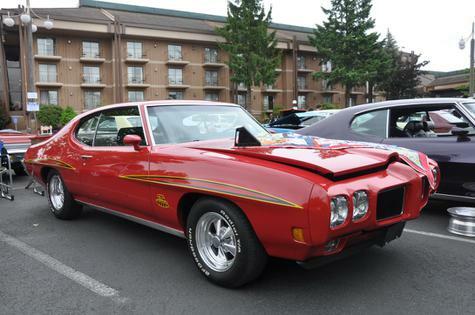 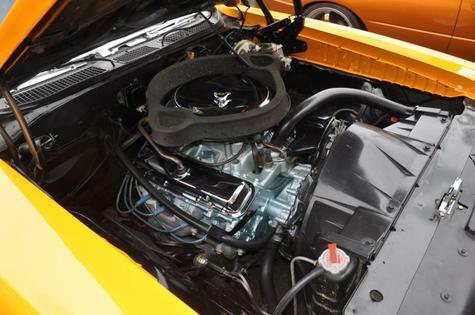 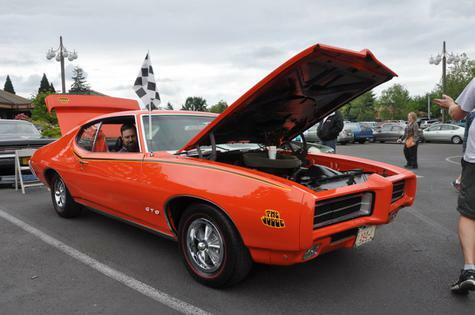 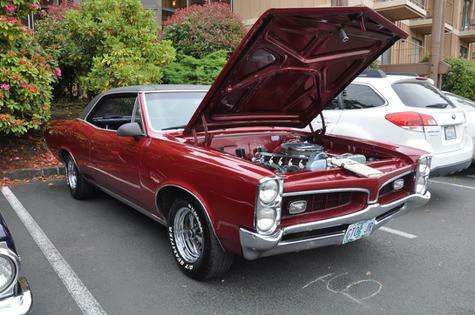 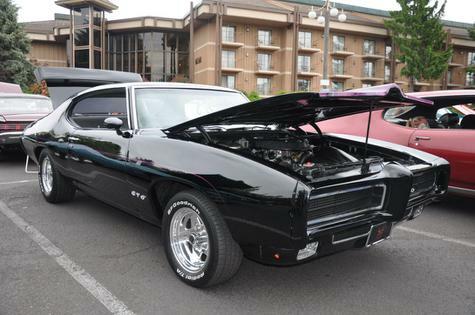 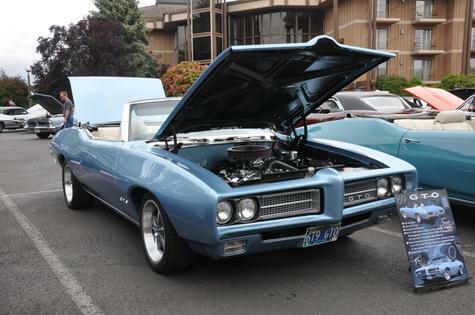 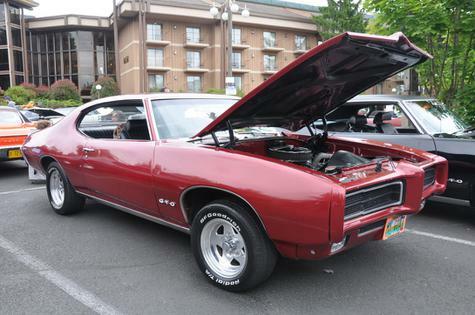 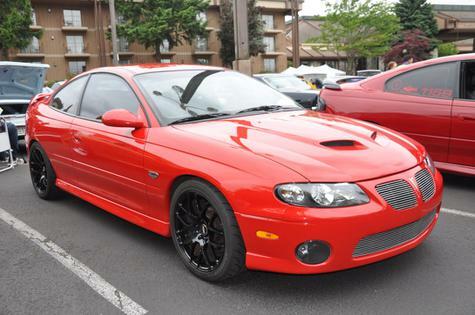 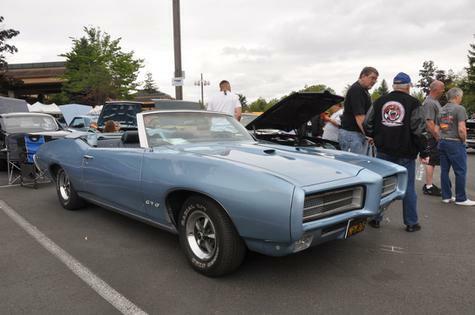 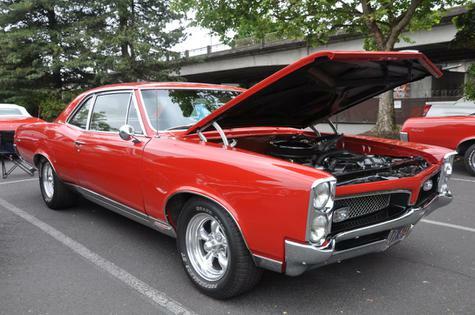 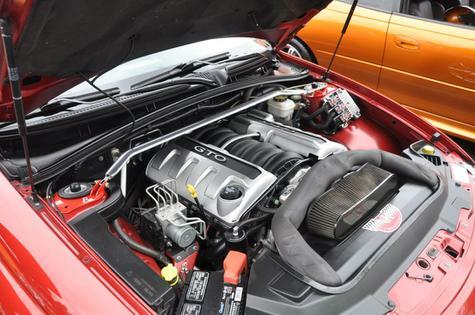 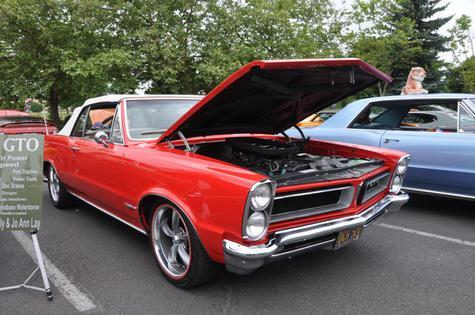 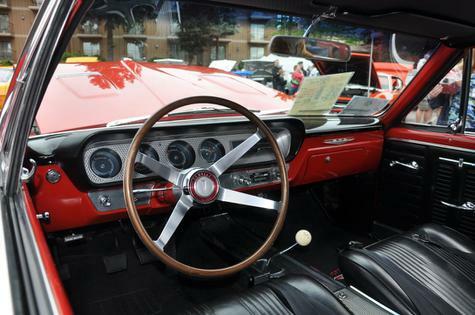 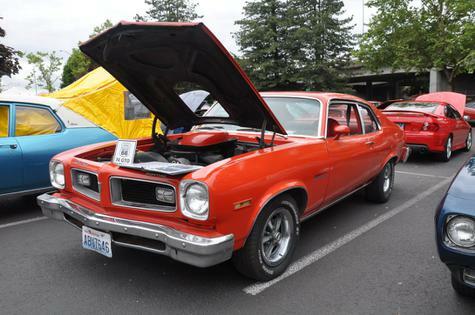 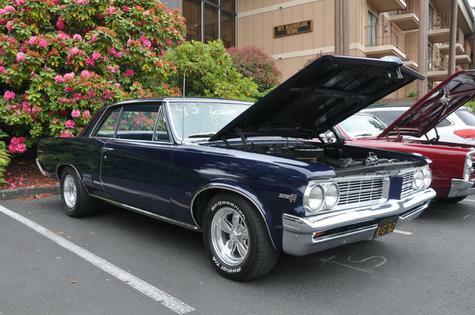 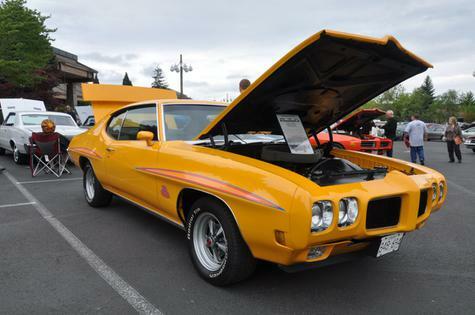 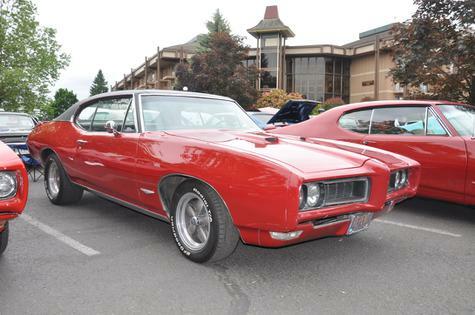 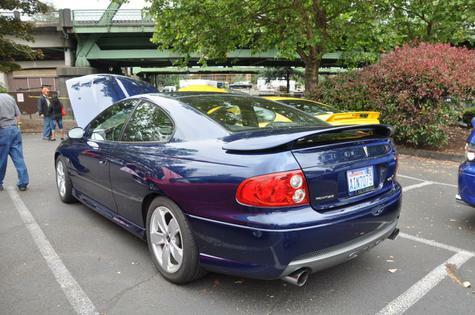 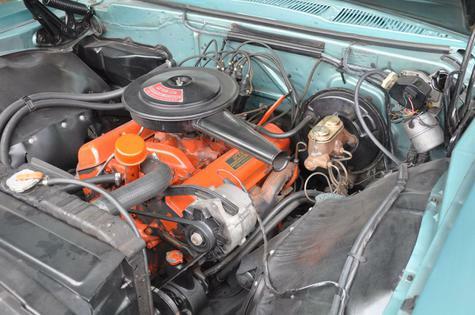 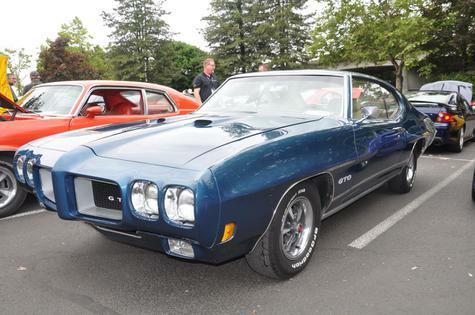 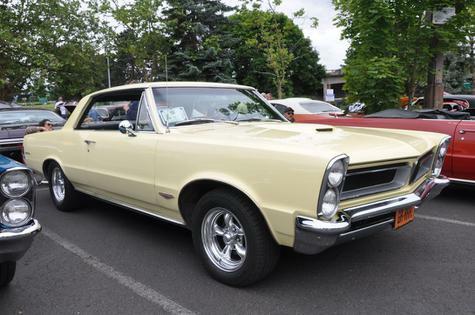 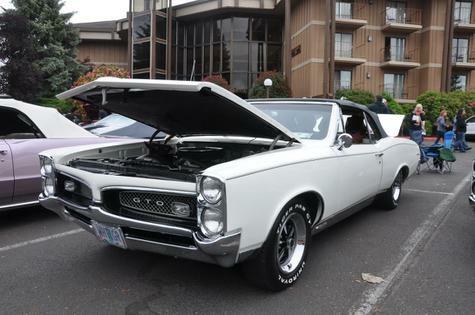 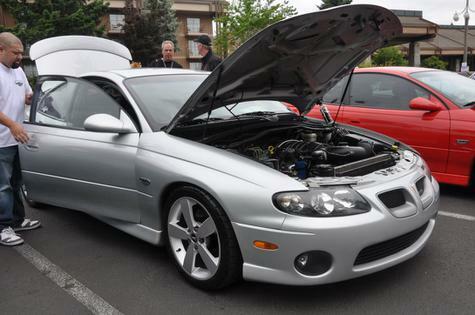 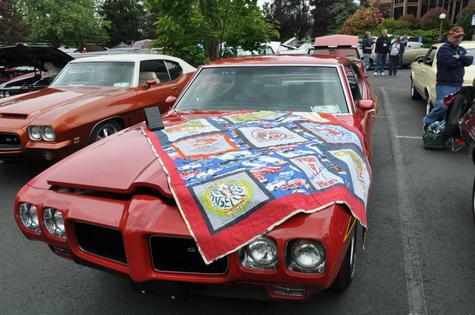 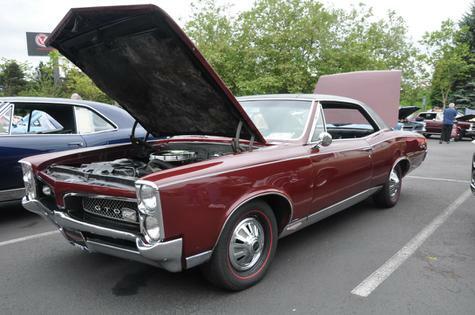 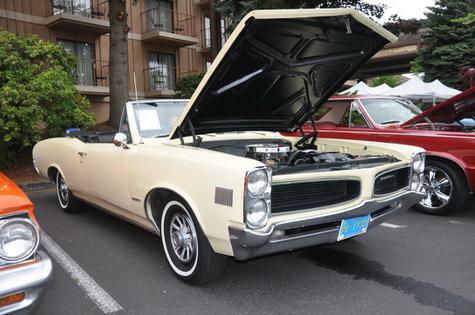 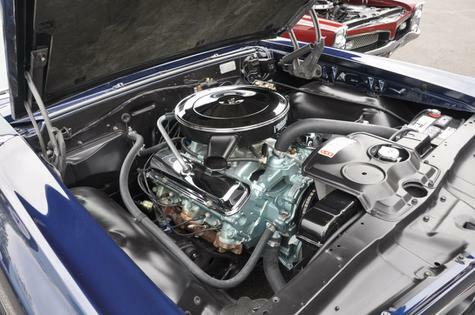 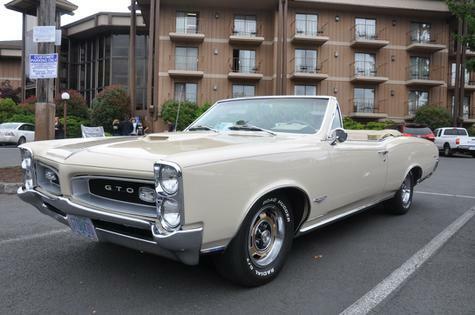 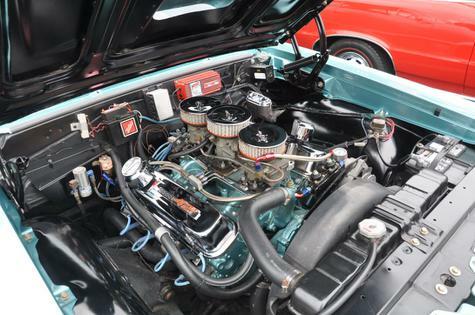 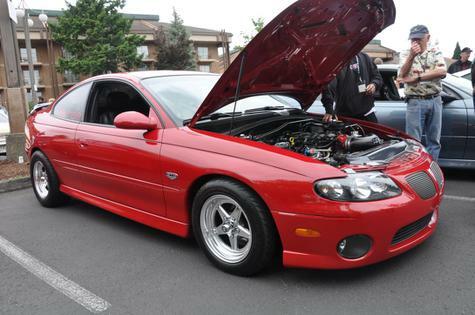 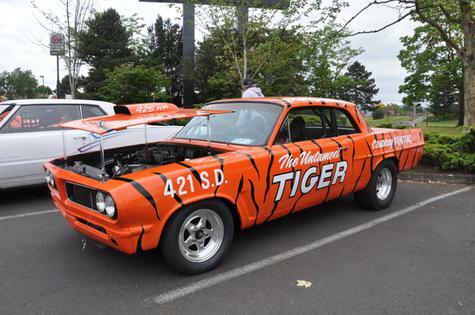 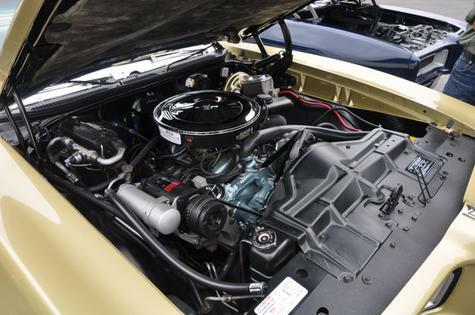 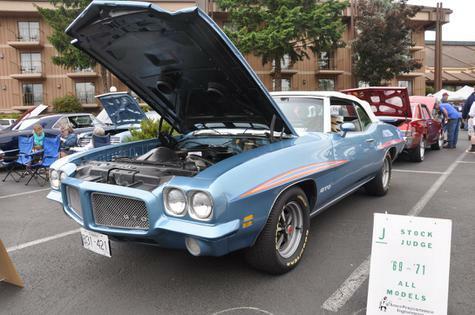 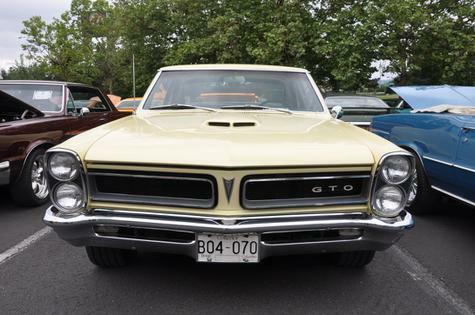 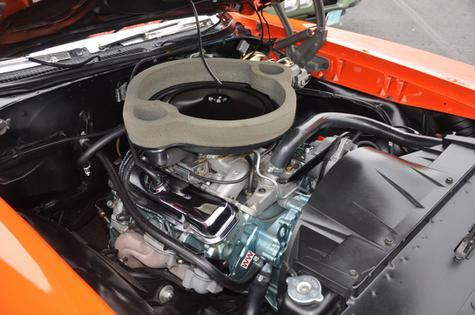 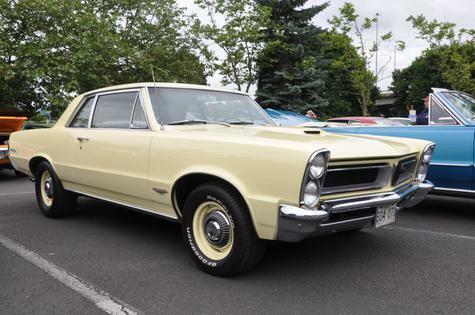 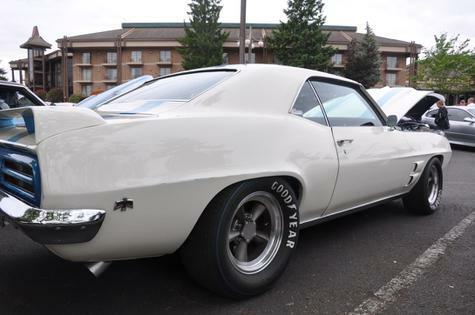 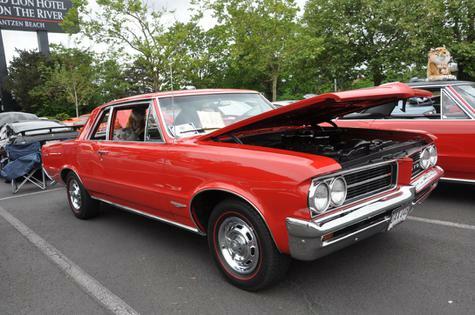 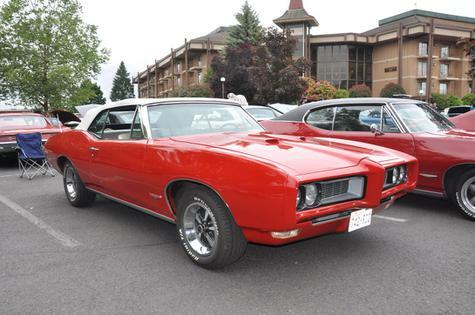 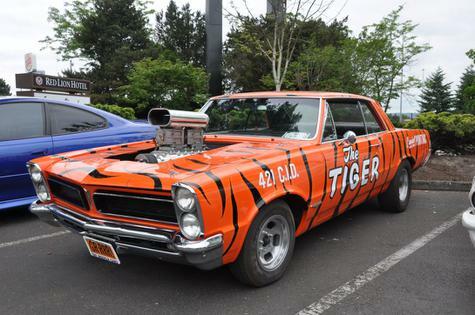 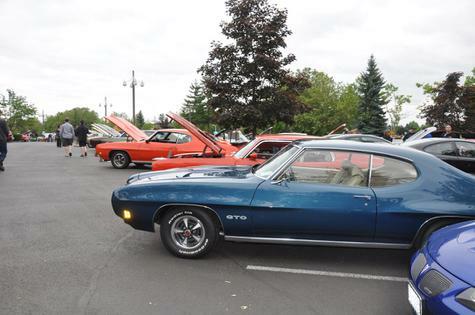 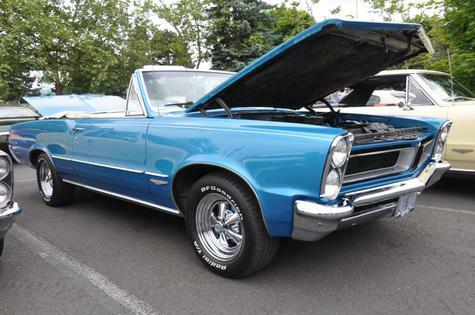 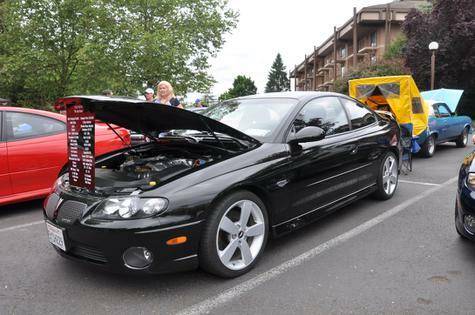 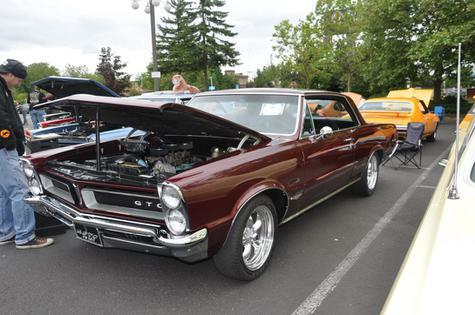 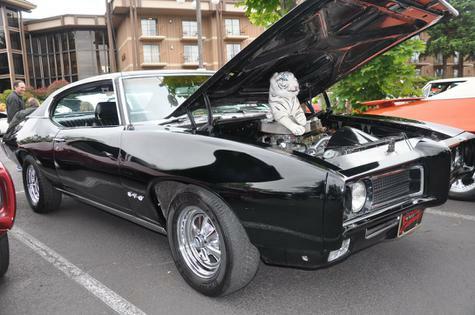 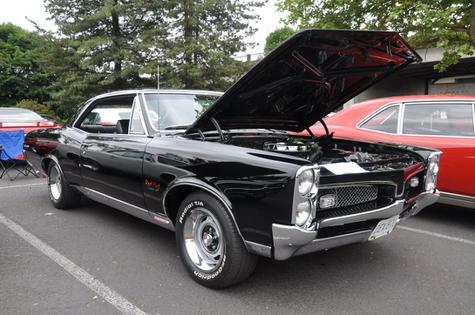 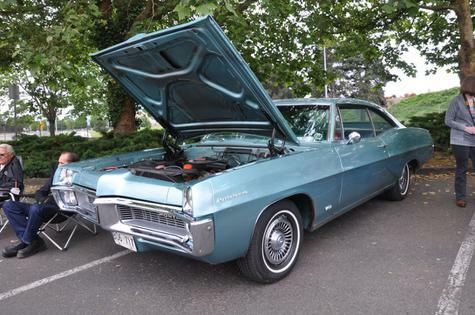 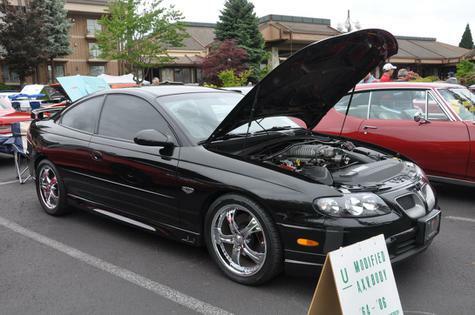 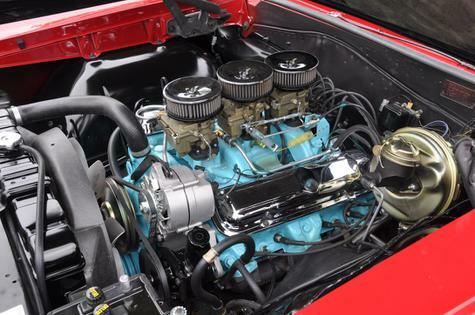 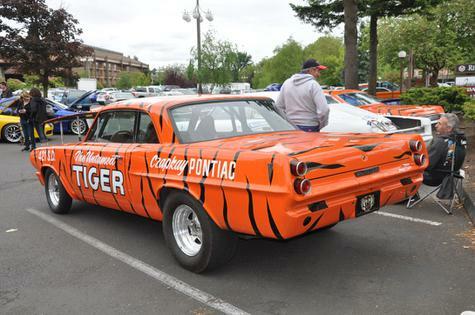 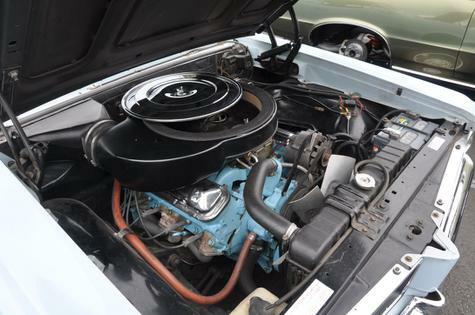 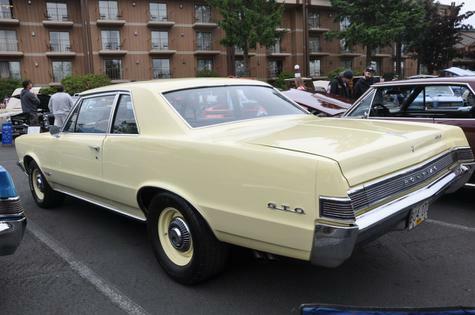 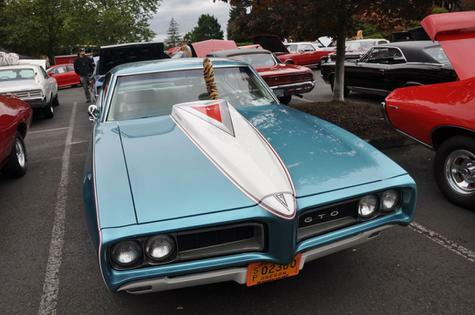 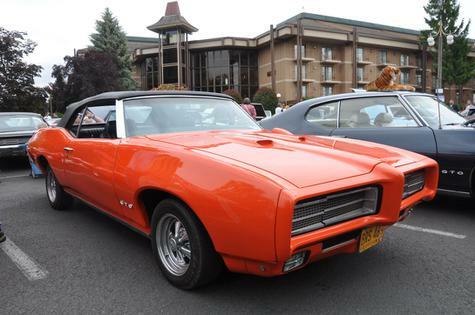 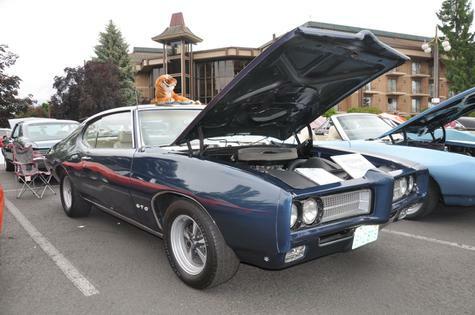 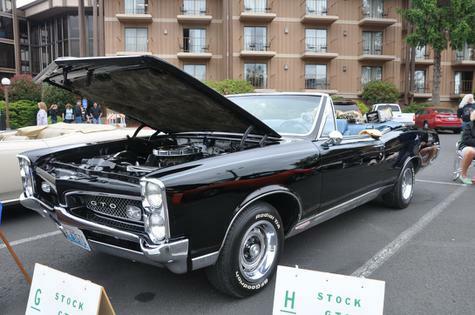 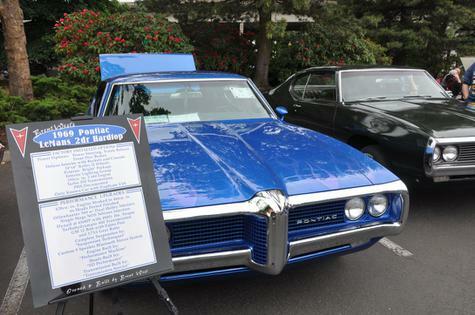 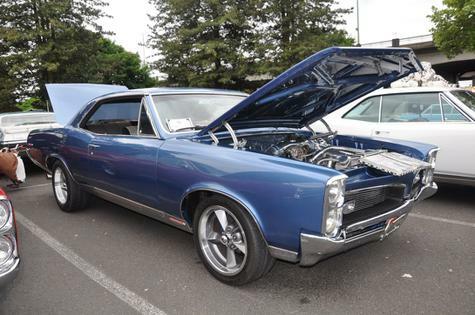 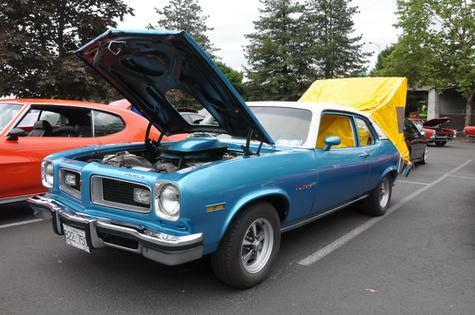 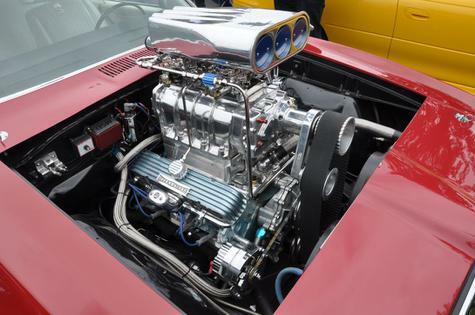 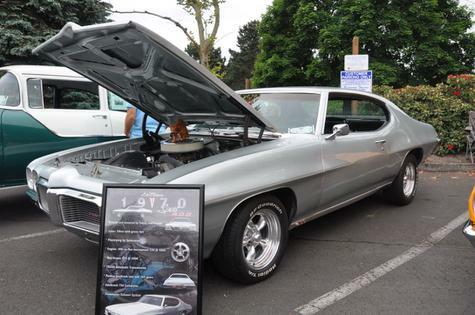 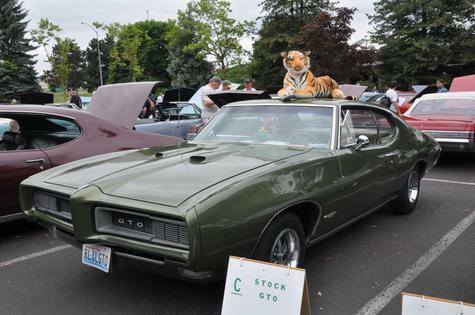 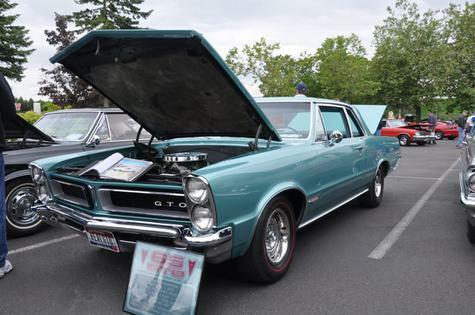 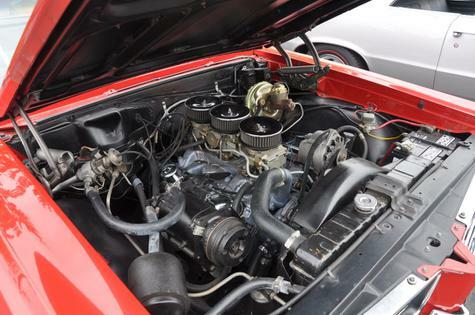 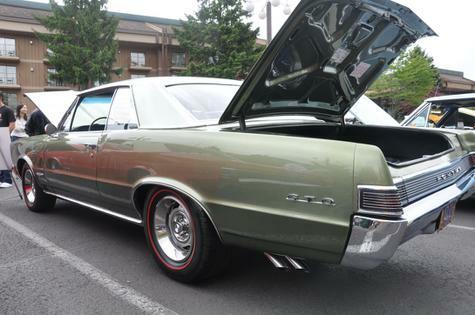 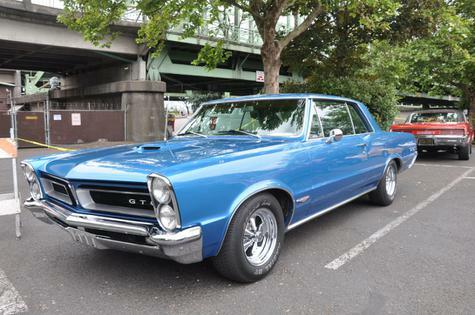 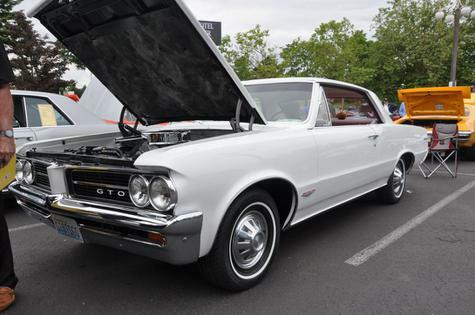 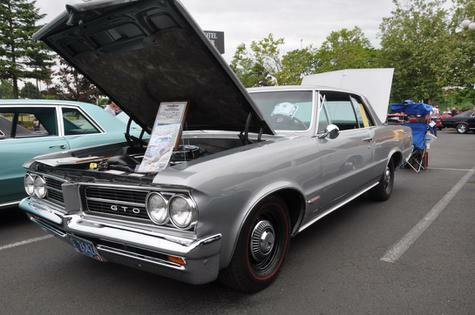 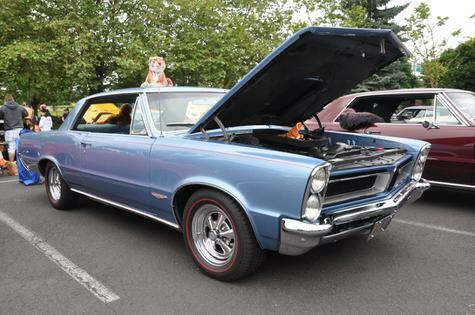 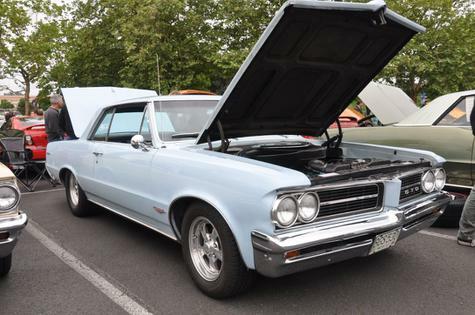 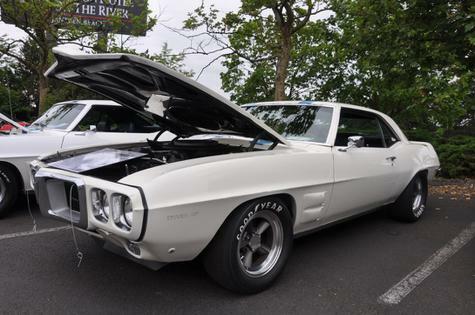 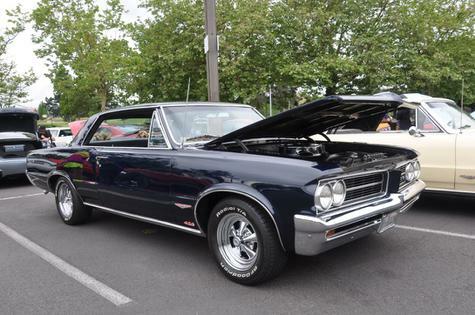 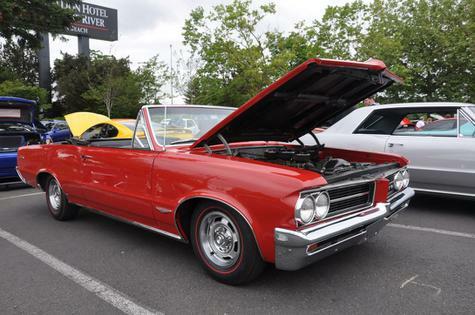 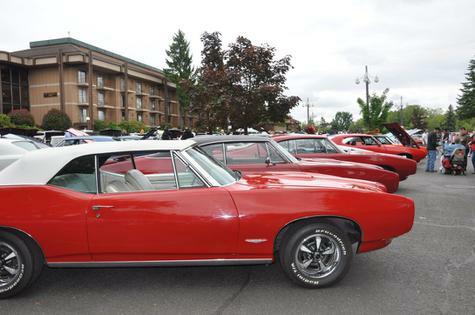 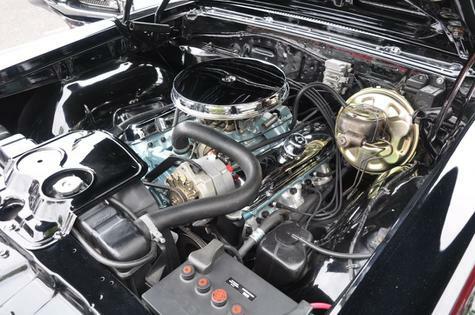 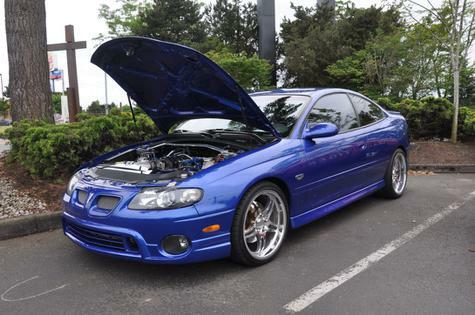 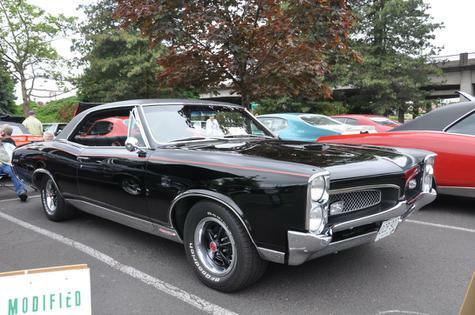 These photos are from Tiger Run 2015, the last Tiger Run that will be hosted by the Goat Herd GTO club. 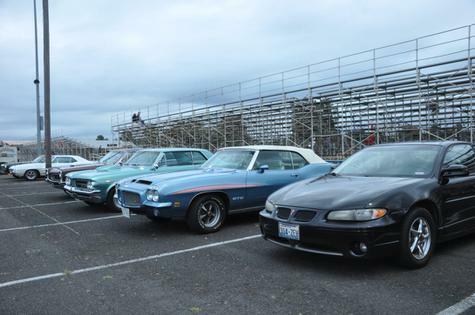 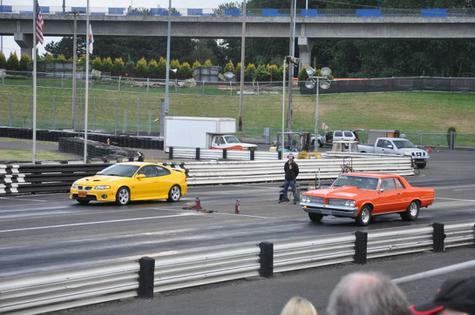 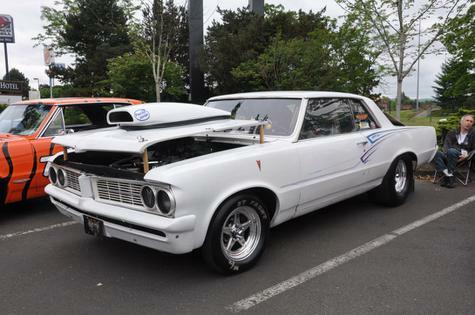 The first few pics were taken at Portland International Raceway, before it got too dark to take decent photos. 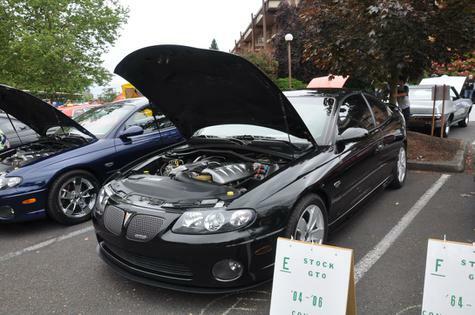 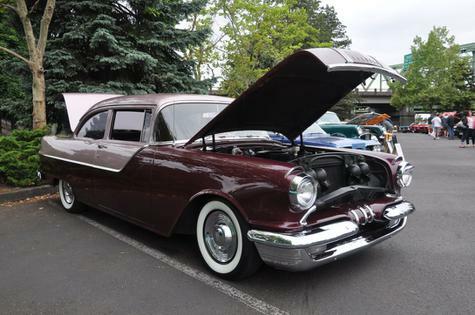 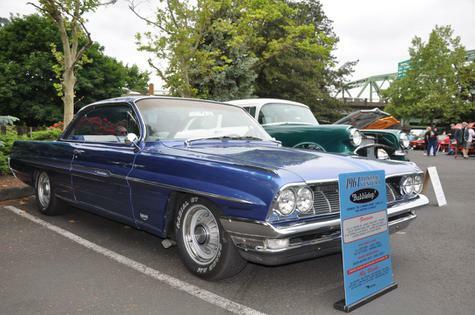 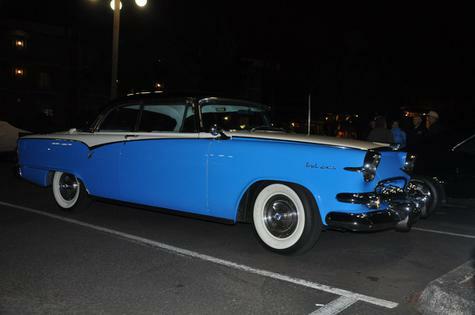 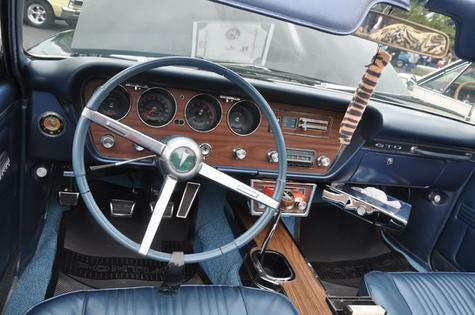 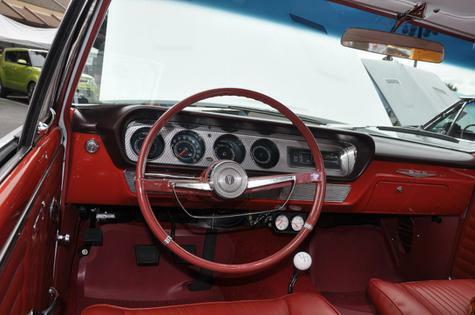 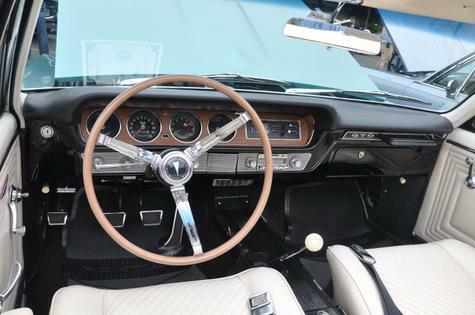 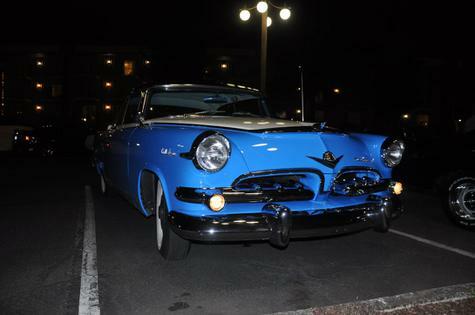 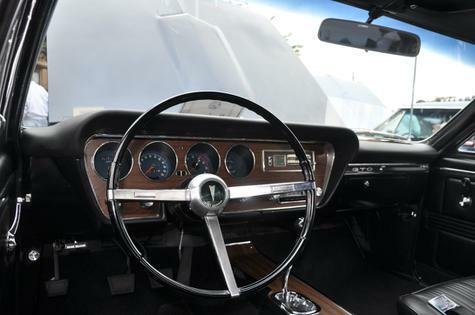 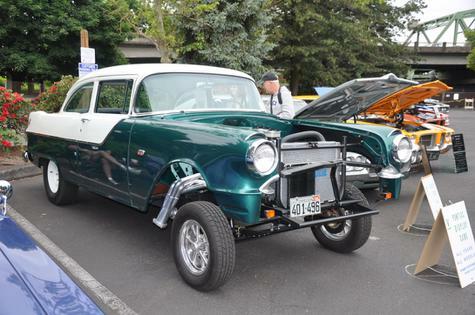 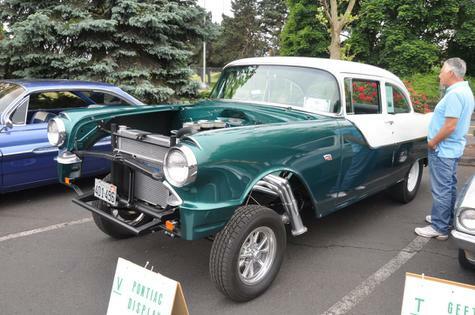 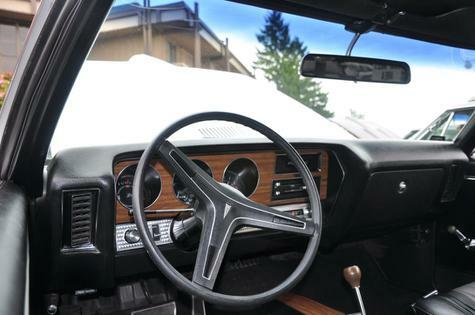 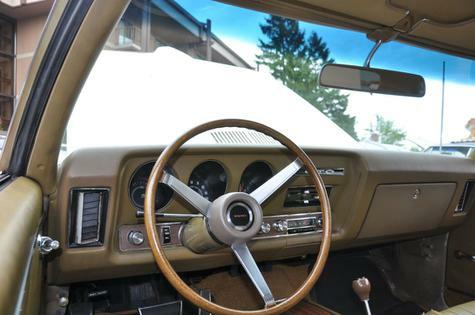 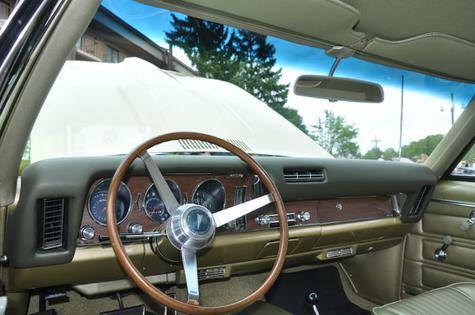 The rest of the photos are from the car show on Saturday. 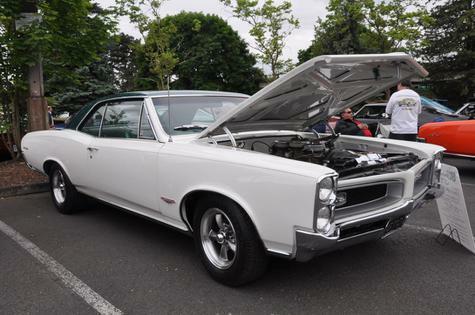 Nice herd of Goats THUMBS UP !!! 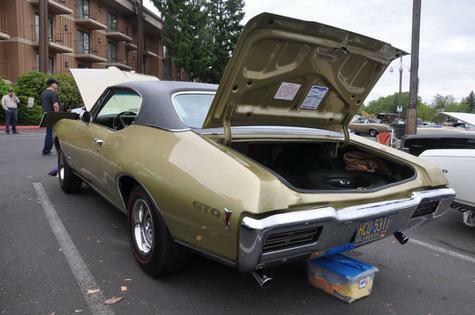 You miss the trees for the forest, Grasshopper :-) There are two ohc6s in there. 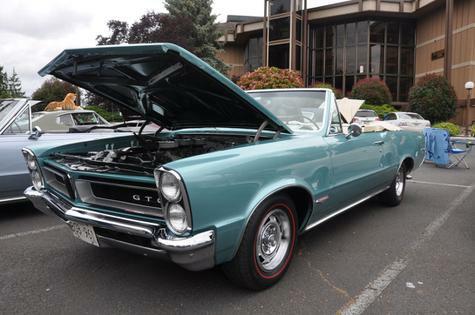 Come out to the 2016 GTOAA Nationals in Seattle! 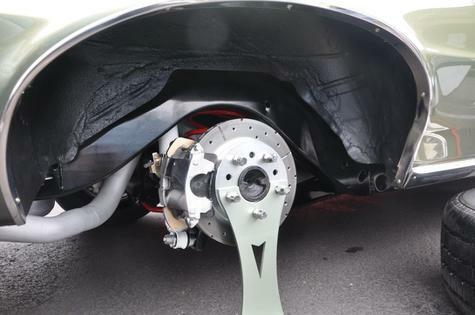 Well sure, they're there NOW! 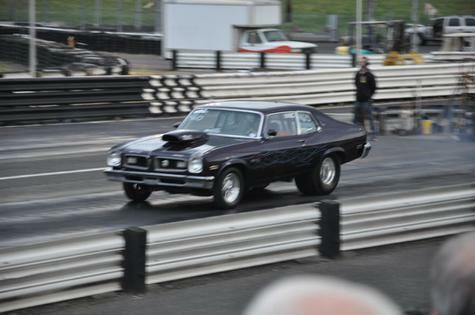 Pretty sneaky Brandon slipping them in after I posted. 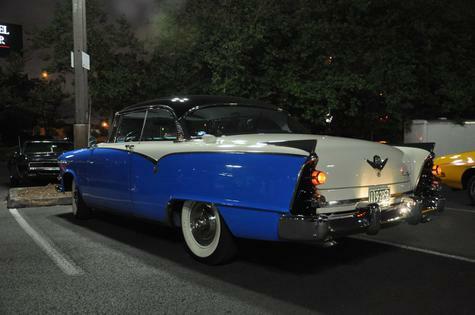 I was born at night but not last night. 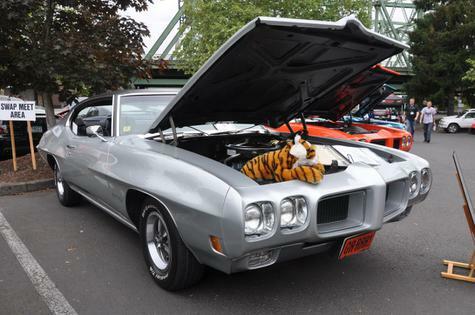 No, I admit I missed them and it is with my deepest and sincerest apology that I ask not to be banished from this website. 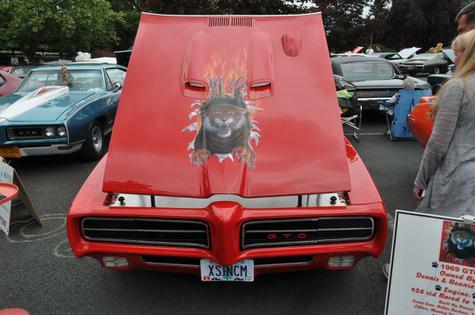 I just saw on my calendar my eye doctor appointment is next month. 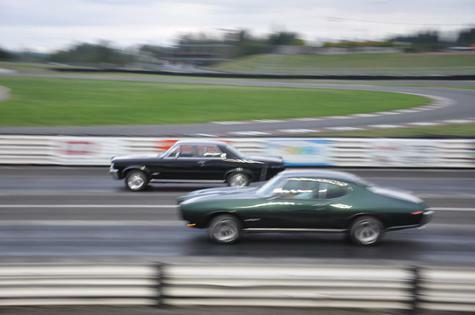 Now I have proof it's time to get new lenses. 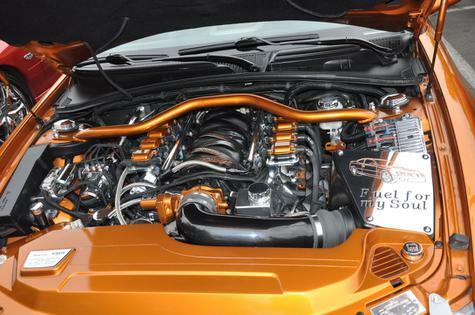 Am I humbled enough to remain on your site? 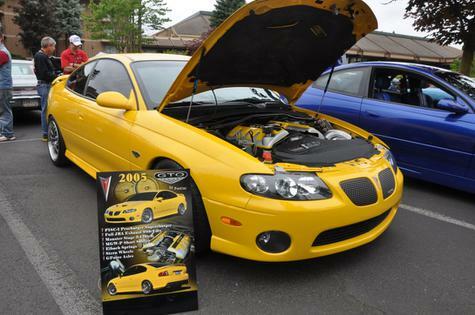 Very funny, AZ, you're one of the stars of this site! 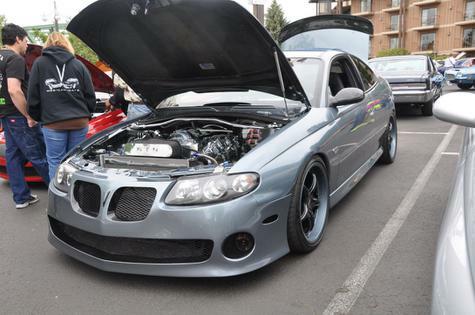 Kuddos to Brandon for all the killer pics. 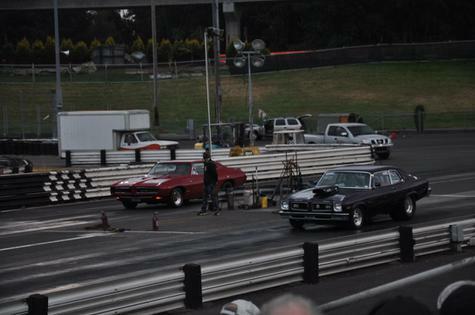 Dont think you missed one car! 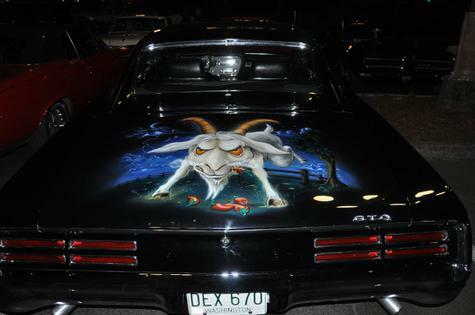 There will be a dvd of many more pics from 2 different people , one fellow is the man who designed the T shirts this year. 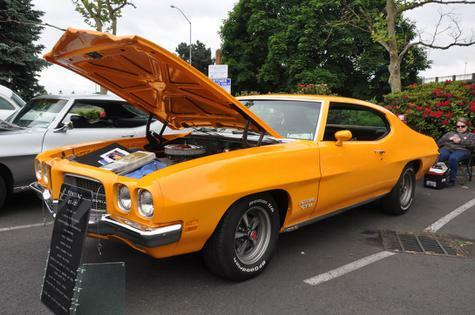 John E.